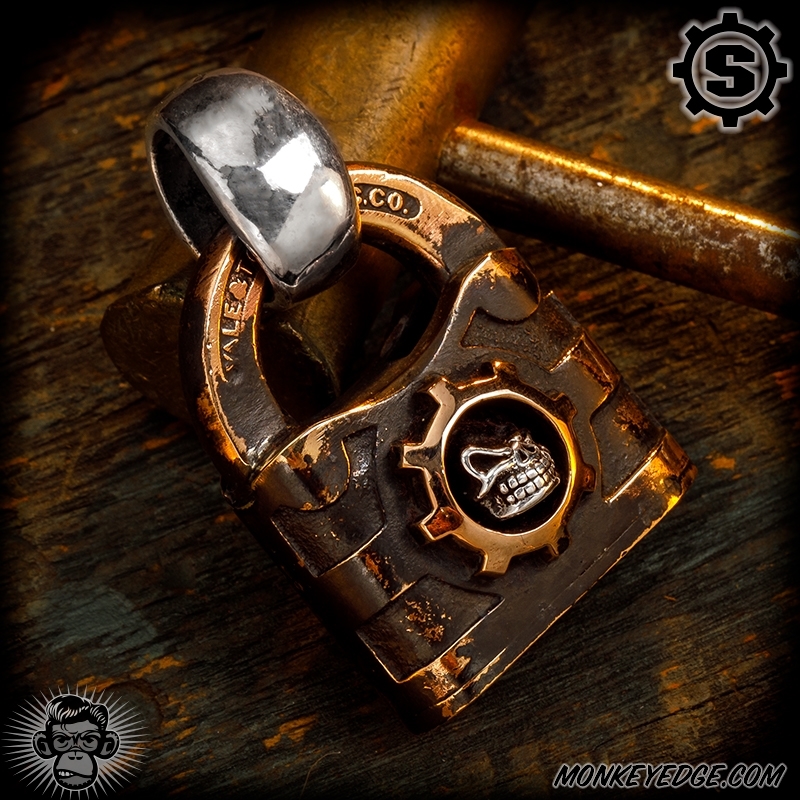 This pendant started out life as a vintage copper lock before Starlingear got their hands on it. The body features a blackened patina finish with polished detailing. 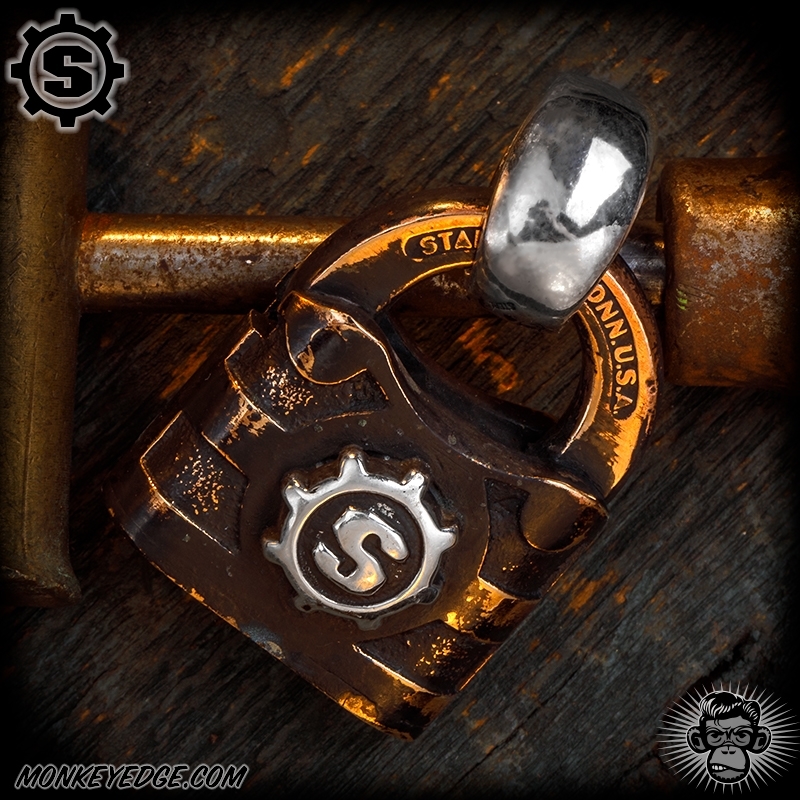 One side features a silver Slickster inside a copper gear, and on the other side has a large silver S-Gear badge. The silver bale allows you to put it on a chain or lanyard.